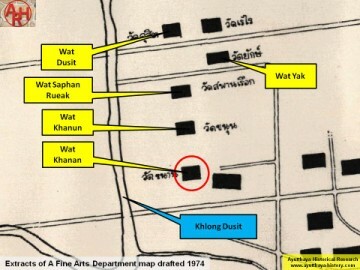 Dusit on the same north-south axis as Wat Dusit, Wat Saphan Rueak, and Wat Khanun. 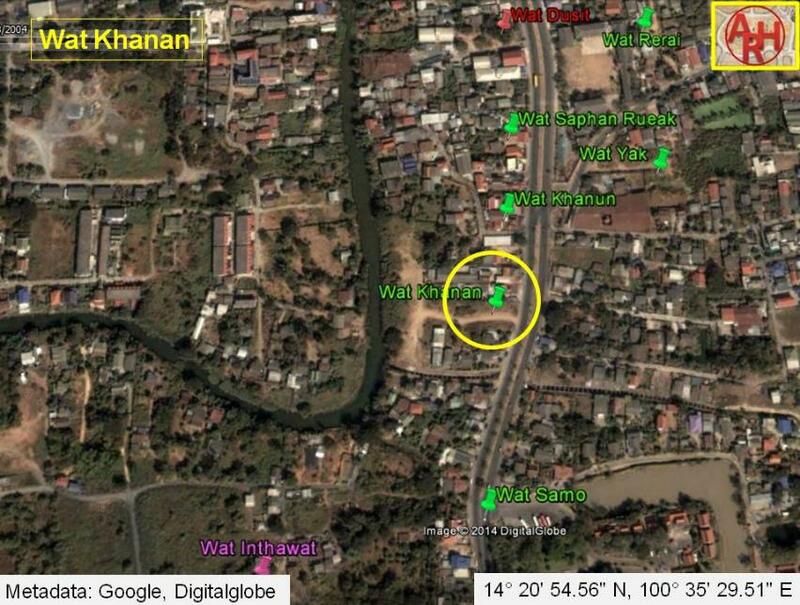 Wat Khanan was situated south of Wat Khanun. The monastery's historical background and period of construction are unknown. Rachathanin's map drafted in 1926 and features only on a FAD 1974 map . defensive post in both the Sukhothai and Ayutthaya Kingdoms. Program - Chulochomklao Royal Military Academy. Bangkok (2007) - page 89-90.